Akin to having to explain the punchline of a joke, selective color is the bane of many photographers’ existence. Others argue it is sometimes warranted, if done correctly. 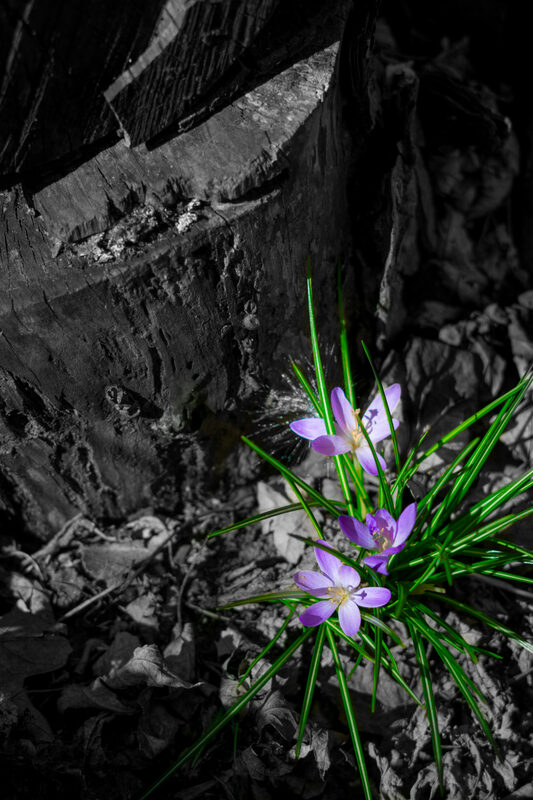 In this instance, a trio of crocus brighten an otherwise monotone scene in Week 10 of the Dogwood Photography Challenge.